It is a good idea to wear loose cool clothing. 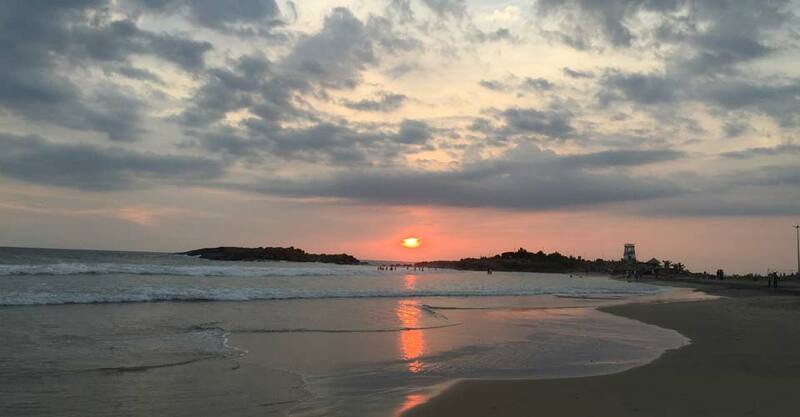 Kovalam is quite relaxed, so there is no need to dress up in the evenings – unless you want to! You really don’t need to bring much, as the climate is hot, cheap clothes are available locally and we provide a laundry service. As well as lightweight clothing, toiletries and personal items, you will need a torch, flat shoes or sandals. Sunscreen, bikini or bathing costume, sun hat and mosquito repellent are also useful – although all can be purchased in Kovalam. If you plan to swim, bring a waterproof sunscreen, or an old T-shirt. An umbrella can also be useful. We provide towels in the rooms, but you should bring your own beach towels. We also provide yoga mats and have a supply of other yoga equipment, but some people prefer to bring their own. You can also purchase yoga mats locally. If you are coming to an Iyengar Yoga holiday, you may like to bring whatever equipment you normally use. If you plan to take ayurvedic massages, a lunghi (sarong) and old underwear are useful, as the oil can stain. Lunghis are available very cheaply locally. High heeled shoes are not appropriate for the roads and paths here. Sandals such as flip-flops, which can be easily slipped on and off, are very useful because certain places require you to take off your shoes. It is fine for women to wear a bikini on the beach, but you should cover up whilst walking around. Outside Kovalam, you may feel more comfortable with your shoulders and legs covered, and this will definitely be necessary if you visit a temple or an ashram. Men should have a pair of long trousers or a lunghi for visits to temples and ashrams. Most enlightening, enriching and emotional holiday ever! 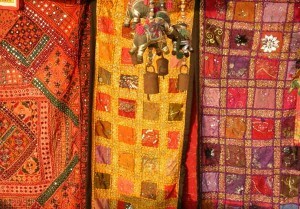 Will take a piece of Mother India home with me where it will hold a special place in my heart.